Coke Bottle USB Memory Stick promotional & branded business gifts. 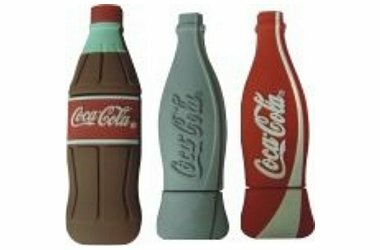 These Coke bottle shaped USB sticks are great examples of memory sticks being used for corporate branding with the logo being an integral part of the body. Colour Option: Any colour you like.